Leaves for Trees: Google Reader is out...what's in? As you know by now our good friend Google Reader is on the way out. 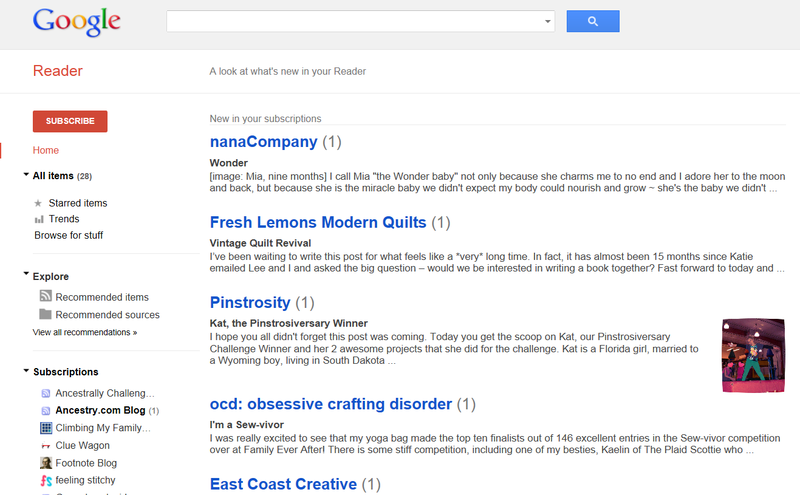 I have only ever used Google Reader to peruse my favorite blogs and now I'm at a loss. What reader do you use? What do you plan to switch to when Google Reader is gone? I'm looking for a replacement also. Ack, I didn't know this! I'll be checking back to see what suggestions people have. I use the reader on wordpress.com. 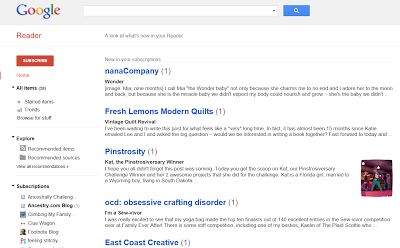 Smadar, I'll have to sign that petition, I really like Google Reader! Lori, Kathryn and Joe: thank you for the ideas. I'll have to test drive them and see what works best for me. Luckily, we have a few months to pin it down. You'll have to let us know how these options work for you! Heather, I'm going to leave it until May. Perhaps something will come along. I really don't want one that is image oriented; most of the blogs I read are text oriented with the occasional image to illustrate a point or show something interesting. I've bookmarked a lot of sites comparing readers and so far I like what I see of NetVibes.